Twenty years ago I would have taken a week off for the release of a new set of Dungeons & Dragons rule books. 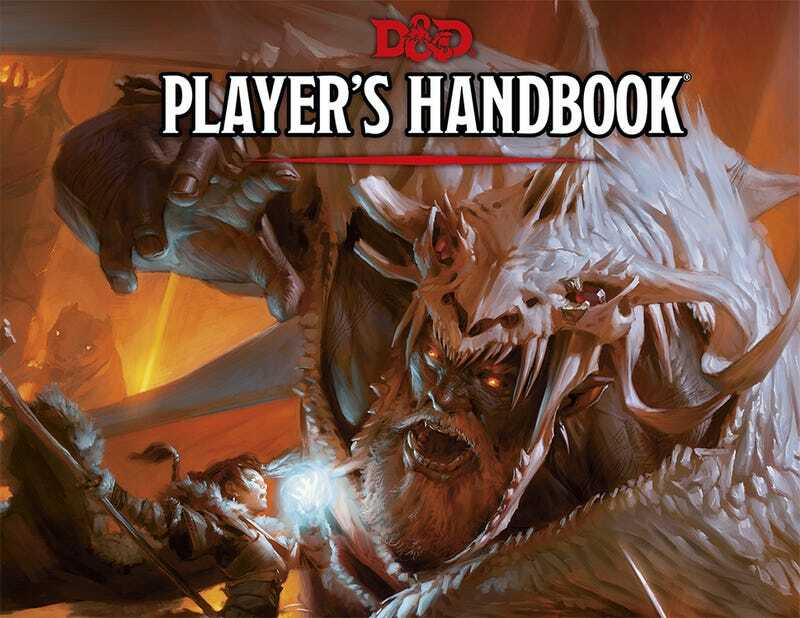 Perhaps that's one of the reasons Wizards of the Coast is releasing the three core 5th Edition rule books over the course of three months, starting with today's Player's Handbook. Sure, you could have bought the Starter Set last month for $19.99, but that first flimsy look into the partly player-crafted 5th Edition and the "Tyranny of Dragons" storyline can only go so far before large hardbound tomes are called for. Besides, thanks to inflation, the $25 books I purchased nearly a quarter of a century ago are now $49.99 apiece. Three easy installments of $50 is much nicer than $150 up front. The Player's Handbook contains everything a player needs to pretend (with passion) they are a fantasy hero or villain, without all of the behind-the-scenes stuff that'll show up in the Dungeon Master's Guide in November. For a pure playing experience, this is the book to buy — ignore the DMG and next month's Monster Manual, they'll just ruin some of the magic. At least that's what my Dungeon Master used to say. He was so angry when he realized I secretly bought a copy of the DMG and was reading it behind his back. Anyway, I'm rambling here. It's the excitement talking. The Dungeon & Dragons 5th Edition Player's Handbook is available today wherever fine role-playing supplements are sold. Also available today is Hoard of the Dragon Queen, the first of two adventures in the "Tyranny of Dragons" storyline. Players should definitely not purchase that. Not at all. Or just buy it and practice acting surprised. In closing, here's some art from within the Player's Guide to give you an idea of what you'll be looking at in the bathroom for the next month.